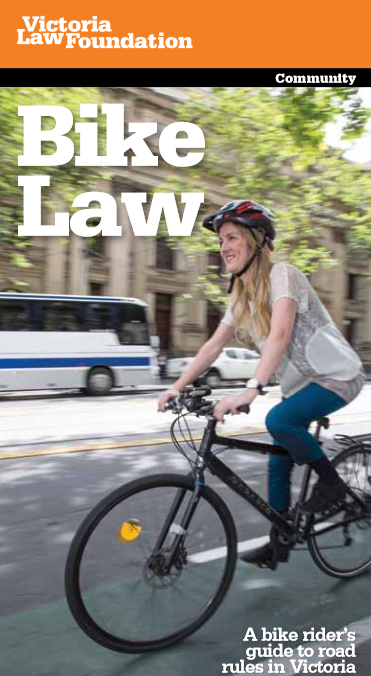 Victoria Law Foundation’s free Bike Law publication is the first, definitive guide to bicycle road rules in Victoria. Click here to download a copy of the publication. Bike Law was produced in consultation with Amy Gillett Foundation, VicRoads, Bicycle Network, City of Melbourne, City of Yarra, Cycling Victoria and Melbourne Bicycle User Group.